Our Deep House King Tony Nova ads Facebook Page – Podcast, House Music Downloads & Mixes, all new Rare Traxx. Musician/Producer Tony Nova is an expert in Nu-Jazz, House Music and fusion and can meld the most unique sounds together. 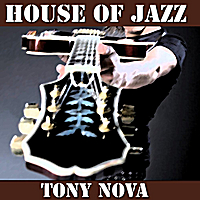 Tony Nova sets a peaceful mood full of bossa nova layered with a little funk and jazzy house music. It whisks you away to a magical, indescribable place.